Born and raised in Washington, DC, Andrés Pertierra completed his undergraduate degree in history at the University of Havana, graduating with honors in 2013. His undergraduate thesis was on American spy networks in Cuba in the early 19th century. After completing the prestigious Victor S. Navasky internship program at The Nation magazine, Andrés published articles on Cuba and U.S. immigration policy in several publications, including The Nation, Jacobin, and Rewire. 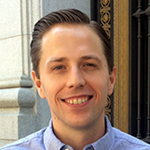 Andrés has been a moderator on the AskHistorians subreddit since 2016 and a co-host of the AskHistorians podcast since 2017. [00:00:28] Patrick O’Keefe: Hello and thank you for listening to Community Signal. After Mark Zuckerberg comments about Holocaust denial on Facebook, Andrés Pertierra, a moderator on the popular AskHistorians subreddit, published a Twitter thread about that community’s policy on Holocaust deniers. That thread, which also included commentary on moderation in Reddit, went viral and Andrés is our guest today. The reason I’m able to talk to whoever I want to including guests like Andrés is because I have editorial freedom here respected by our sponsors and empowered by our listeners, including those who back the show on Patreon and communitysignal.com/innercircle. Thank you to Marjorie Anderson, Joseph Renallo, and Rachel Medanic for supporting our show. Born and raised in Washington, DC, Andrés Pertierra completed his undergraduate degree in history at the University of Havana, graduating with honors in 2013. His undergraduate thesis was on American spy networks in Cuba in the early 19th century. 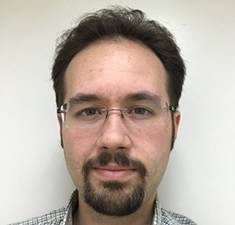 Following completion of the prestigious Victor S. Navasky internship program at the Nation magazine, Andrés has published articles on Cuba and US immigration policy in several publications including the Nation, Jacobin, and Rewire. He has been a moderator on AskHistorians since 2016 and one of the co-hosts of the podcast since 2017. Andrés, welcome to the show. [00:01:37] Andrés Pertierra: Hi, thank you for having me. [00:01:39] Patrick: It’s a pleasure to have you on, I think this is going to be really interesting me discussion and I want to set it up. First of all, Mark Zuckerberg did an interview with Kara Swisher for the Recode Decode podcast where she specifically asked him about Infowars and the Sandy Hook didn’t happen line that Infowars and Alex Jones had pushed referencing the school shooting that occurred in Newtown, Connecticut that left 28 dead. In part of his response which spoke about judging the intent of the poster, he introduced the Holocaust and Holocaust deniers he said, “Going to someone who is a victim of Sandy Hook and telling them, ‘No, you’re a liar.’ that is harassment and we actually will take that down. But overall, let’s take this closer to home. I’m Jewish.” This is Mark Zuckerberg speaking. You learn about these remarks, what’s going through your mind? [00:03:02] Andrés: As your listeners no doubt know, I help moderate a subreddit, AskHistorians, which specifically is trying to make academic level history accessible to a more general audience. First thing I’m thinking of is, “He really does not have very much experience dealing with Holocaust denial,” because it struck me as a naive approach. The assumption that Holocaust denial is being done in good faith is just not backed up by what researchers have said, what my own experience is. That isn’t to say that any questioning of aspects of the Holocaust is necessarily in bad faith. However, by and large, Holocaust denialism is undertaken in bad faith, and to treat it as something that, “They’re just– darn it, he keeps getting this wrong.” It just seems extremely not only naive but given the reach that a platform like Facebook can help give people is actually dangerous. [00:04:08] Patrick: You send out this tweet thread that goes viral, and as we’re speaking it has more than 3,500 retweets, more than 7,500 likes. In it you talk about the Holocaust denial policy on AskHistorians. It’s a pretty simple policy falling under the civility section of the subreddit of rules, which we’ll link to in the show notes, and it reads, “All users are expected to behave with courtesy and politeness at all times. We will not tolerate racism, sexism, or any other forms of bigotry this includes Holocaust denialism. Nor will we accept personal insults of any kind.” I’m sure that there are a lot of attempts in the community to try to revise history in a way that is truly offensive. Obviously, the main one that you see and the only one that is codified is Holocaust denial. Talk a little bit about the background of that and the prevalence of it in the community that lead to it being specifically called out. [00:05:19] Patrick: Not codified in those policies yet on subreddit rules. [00:05:20] Andrés: Yes, it’s not on that page, but we have presented it to the community and do apply it. [00:05:24] Patrick: Got it. Talk about some of the backgrounds of specifically the Holocaust denialism and how that cropped up. Because I’m sure that wasn’t, and I know you’ve been there for two years, I’m not sure how old the subreddit is, I’m sure it’s older than that. The genesis of that being recognized in the community where it’s something that needs to be called at such a highly visible level. [00:05:43] Andrés: Sure. Actually, the community was founded by Art, he’s a user on the subreddit, he founded the AskHistorian subreddit. By then the history subreddit already existed and he wanted to create a separate community with a slightly different dynamic than history which is a bit more of a free for all. When he originally created it, it was a fairly small community and we didn’t have very tough rules about who was posting. The process for verifying people to add flares, recognizing their field of expertise, was not as rigorous as it is today. There wasn’t much of a hard line policy on hard moderation, but because it was such a small community, it wasn’t necessary. However, as it slowly started to get bigger, this is before my time, I think the subreddit was created in, I want to say, March 2012? I came on board in 2016 and the subreddit kept running into these Holocaust deniers and there was a butting of heads within the moderator team. Eventually, the position that we should not tolerate it within our community because it’s being done in bad faith eventually won out. Eventually, it became part of a broader, more tougher moderation policy which has helped our community despite the fact that it keeps growing and growing have a reputation of one of the less cesspooly sides of Reddit along with a couple of other major subs like AskScience. [00:07:19] Patrick: I’d like to stop right there to tell you about our excellent, supportive sponsor, Higher Logic. To back up a little bit to Holocaust denial because some people will read this, and not being Holocaust deniers, not being people who are used to moderating at scale, which isn’t my audience but it’s worth talking about, just the tactics of people who deny the Holocaust by these [unintelligible 00:08:13]. They don’t come out and say, “This didn’t happen. Let’s all agree.” Instead, they try to chip away in a way that seems possibly well-meaning to people who are observing from afar. They ask questions…What is the in sneaky way that they go about, sort of ingratiating themselves into the community that require such a policy? [00:08:35] Andrés: Right. We coined the term, “JAQing-off,” for that. It’s just asking questions. The outright Holocaust denialism even in maybe a less tightly moderated community will pretty easily get a very negative reaction just from users who will just downvote it en massa. If the question is framed as, “Listen, I’m not saying it didn’t happen, I’m just saying–” and then there will be either a half-truth, a lie, a decontextualized piece of information, something meant to sow doubt and then may be really obtuse in the reply. That historian will say, “Okay,” they’ll clarify it and then the person will say, “But is it that way though?” and you’ll get this obtuse, disingenuous response which will make it seem like they’re just being the reasonable person who is just being skeptical like you’re supposed to be. Because of that, what they’re trying to do is hijack the platform that your community has and use that to try and mainstream their ideas because that’s the goal. They’re trying to chip away at the idea that the Holocaust happened because that’s kind of the beginning of an attempt to slowly turn you over to their side. First, the Holocaust doesn’t happen or some aspect of it is presented as exaggerated, and then that’s like the gateway lie that’ll help mainstream some of their other more dangerous beliefs, which basically is all aimed at mainstreaming and destigmatizing Nazism and White supremacy. [00:10:17] Patrick: Their job isn’t to get you to say today that the Holocaust didn’t happen. It’s to get you to say, “You know what, six million is a lot of people. Could that have happened? Could that have happened in these ways?” It’s to get you to question something, some fact to that the idea of the Holocaust somehow becomes slightly less true to you, so then the idea itself can one day become completely false. [00:10:38] Andrés: Right. I think that the recent movie, I think it’s called Denial, about the famous debates and the libel trials surrounding the Holocaust now, the trial in the 90s. It really frames it or demonstrates it pretty well in that it actually uses a very real case where David Irving decontextualized in kind of like, part of it was fabrication, part of it was half truth in his book to try and say that, “Maybe some stuff happened to the Jews, but Hitler didn’t know.” That’s the kind of thing we keep running up against. Holocaust denial and denialism in the academy has largely been stamped out, but they’re evolving and learning how to function online where anonymity means that they have more options, basically. [00:11:25] Patrick: It sounds like if you want some homework and you want to study up a little bit, go watch the movie Denial because it seems to have framed the discussion in a way that will fit it into a movie that you can watch. For a lot of people who listen to the show, you are really preaching to the choir because what happened here is that this community, AskHistorians, has a purpose, right? The moderators recognize that purpose and understood that Holocaust Denial was not relevant to that purpose. Allowing it took away from the focus of the community and the resources of the community, e.g., “Do you want to spend your moderator hours on this?” It’s a smart choice. The folks thrive on the good nature of more reasonable people. I can fix them, I can convince them, shunning them will just deepen their beliefs, et cetera. Frankly, that’s not our job. The moderators on AskHistorians don’t need to spend half of their day, half of their lives talking to people poking around the Holocaust. To take it down to some more innocuous examples, right? On my communities, we haven’t allowed any general, political, or religious discussion in like 16 or 17 years, right? It was a simple choice. We’re talking about like a martial arts community. If you are on a martial arts community, and we have a limited number of moderator hours with a great volunteer team, do I want to spend that time sifting through discussions that are not related to the martial arts? Do I want to allow them and just ignore them? Which is a choice that communities used to make more frequently. Put them off into this section, cordon them off, “Go crazy over here.” What happens is, they get out of hand and then pour over into the non-political portions of the community, so those are both bad answers. Either spending your time on something that takes you away from the real focus and goal of that community, or letting get it out of hand. This is really a policy that protects the purpose and the focus of the community. People will deny the Holocaust, but we don’t have to give them air or our time. That’s how I read it. [00:13:16] Andrés: Definitely. It’s actually a policy that’s definitely worked. Despite the size of our community, and the fact that we of course get trolls, we of course get the occasional high Holocaust denialist, but for the most part, they know that if they pull that with us, they will not last. The thread will be purged, they will be perma-banned, there’s no attention, there’s no lulls, there’s nothing. It’s just no drama, they’re eliminated from the conversation. One of the things that we’ve heard, not just on the sub board itself, but also in response to my thread on Twitter is, how do you differentiate between the JAQers, the people who are JAQing off, the bad-faced questions, and the people who just genuinely to know this. Aren’t you, by having this policy shutting your door and confirming, “Ha-ha, this is the one part of history you can’t actually ask about. I wonder why?” that kind of thing. It’s actually very easy to suss out who’s a JAQer and who’s not. It’s not just because JAQers tend to be very bad at acting like normal human beings. Their post tend to have awarding which is, for lack of a better word, I’m not sure if your listeners are familiar with, “How do you do, my fellow kids?” that meme. [00:14:33] Patrick: Yes. Steve Buscemi. [00:14:34] Andrés: Yes, the Steve Buscemi meme. It’s like, “How do you do my fellow non-anti-semites?” It’s very obvious some of these people are not well adjusted. Beyond them, it’s also fairly easy to respond. First, thread is removed. Second, we deploy a macro. A macro on Reddit, for those not familiar is you can just basically have a long prewritten response for any given context. A lot of issues are very common, so we can just pre-write a response to a given issue, and just deploy that instead of manually typing it out. We deploy the macro, and it has responses to all of the most common Holocaust denialist points. It offers resources, points people in the right direction. Based on how they react to that, we have a fairly good idea if this is a JAQer or not. Because a JAQer is going to respond in bad faith. They’re going to be angry, they may even notice, “My thread was removed. Why is my thread removed?” Because what they want is attention. They don’t genuinely want their question answered, and so it’s fairly easy to tell. It’s also fairly easy to tell because these accounts will often either A, be brand new, just created to ask this question. That’s a red flag. Or it’ll be an account which will have overlap with other very toxic threads. There’s the Donald which is the Donald Trump subreddit which unsurprisingly has a lot of people who use the N-word, a lot of anti-Semites. I know they don’t like me saying that, but that’s my experience as a moderator from AskHistorians. There were a lot of bigots coming at me from that subreddit, and I’ve never gone on there. Occasionally the gamergate subreddit is a bad sign. MRA, subreddit it’s like The Red Pill also tend to have a lot of bigots, including the occasional anti-Semite. There’s a lot of people on our conspiracy who are actually denialists and possibly also think that the moon landing was faked. [00:16:29] Patrick: Got you. Yes, I guess if you join, your first question is about the Holocaust that’s probably isn’t a good sign. That makes a lot of sense. You touched on this with the Native America denialism. It’s not just Holocaust now that AskHistorians applies this policy to. Obviously, you have the Native American denialism, which it sounds like it’s fairly recent? [00:17:01] Andrés: Yes. To my knowledge, the only other thing that we’ve actually just taken a public response on in terms of genocide is Native American genocide just because it’s becoming so common. Basically the denialists will say something to the effect of, “It was all to seize…Europeans had nothing to do with it.” Which is really bad history and it’s very clearly aimed at absolving European colonists from their role in Native American genocide. We do have a that policy there as well. We also have other policies of course, but we haven’t really had to write macros out for all of them. We do have a FAQ section, a Frequently Asked Questions section in the sidebar, so a couple of the more bad history takes that are annoying but more benign like that the Chinese discovered the Americas based on that one book from a couple years ago, which is really bad history. We have a FAQ question for that but we don’t need a macro yet. [00:17:57] Patrick: Let’s take a moment here so that I can talk briefly about our great sponsor, Structure3C. I’m learning stuff here. Obviously, it must be listening being at the forefront of history denialism. In researching for the show, I read the public response thread your referencing about this Native American genocide denialism. That’s when we look at I guess being a moderator at AskHistorians is that you’re a trend hunter in a sense of what the next wave of bigotry might look like. I’ve been managing communities for a long time, and I’ve talked about how you literally just have to shut things down from time to time. I’ve talked about that for a long time, about how you just have to have moderation, enforce it, and be aggressive, and get things done. Then when I do that, I run into, occasionally. I talk in the industry a lot. Your audience, you talk to with this Twitter thread is very much more mainstream than the audience I usually talk to. You get to hear this way more because I read through the Twitter thread. You run into free speech absolutist. That was a theme of responses in your thread, people who feel like this is a net evil I guess you could say. What’s your take on that? [00:19:32] Andrés: If you want to see what 100% free speech platform looks like? Look at Gab. What is Gab? It’s a cesspool of white supremacists, Neo-Nazis, to not get into the more creepier ends in terms of like the other stuff they’re into, who basically if that platform ever had anyone who was not have that tendency on there, like why would anyone who’s not a bigot go there now. That’s the problem that a lot of Reddit has gotten into. Reddit has a very well earned reputation for having certain parts of it which are cesspools. They banned some of the worst subreddits a couple of years ago. One of them was just like a racial slur. I don’t even remember which one it was. I think it was specifically anti-Black subreddit. There’s a couple of them which are specifically anti-Semite subreddits. Basically, what happens is even if you don’t have a subreddit that’s specifically aimed at hate, if you don’t have a good moderation policy, what happens? The bigots team up, sometimes actively organizing, that’s a thing. When you go to the subreddit, they actively organize a campaign, or just dynamically, and they make it such an uncomfortable, hateful environment that nobody in their right mind would continue to participate anymore because all that’s going to happen is you’re going to post…I think I remember seeing one person reply to my thread, who said that he was in the NBA subreddit and somehow someone segwayed into, “Hitler wasn’t so bad.” It’s like [laughs] you’ve got to have a very tight moderation policy because if not, it becomes a cesspool. Then what does that happen? That kills your community. It’s not that we have to have free speech or people will be driven away. Who is going to be driven away by banning Holocaust denial? Holocaust deniers. Who’s likely to go away if you allow Holocaust denial or people who just like drop the N-word into every third comment? People like Jewish people are probably going to stop frequenting your platform or your community if they feel like every third post is going to be denying that genocide against their people happened. Contrary to the explanation that it’s a good business decision, for example. Because the free speech absolutist have two variances, the business version and the ethical version. The business version, I think I just addressed by I genuinely think your community is healthier and will grow and will grow better if you moderate it. Have a very clear active moderation policy against bigotry. That’s number one. Number two, the ethical sides. Basically, the internet should be a neutral platform. The Internet is very broad. Facebook, Reddit or the subreddit, or whatever community, actively banning these policies does not mean that on the entire internet discussion of this is banned. It just means in this community, this is our policy, and we have every right to do this. A lot of people don’t seem to understand that the first amendment applies to government censorship. This is more of the equivalent of no shirt, no shoes, no service, but it’s more like no anti-Semitism. [00:22:39] Patrick: I think you make a good case. I have on this show and in articles and I’ve been pretty critical of Reddit for different reasons. I think Reddit doesn’t do anything. When I say Reddit, Reddit management. I think that they don’t do things until the doors are beaten in from the press mostly. When those doors are beaten in, they do a minimum effort in sort of tackle the big things. Now, as you mentioned, I want to get into this because I want to talk a little bit about something you said in your Twitter thread that’s directly relevant. Even though I haven’t really been active on Reddit for this reason among others, I’m obviously not active on Gab. I think I have my username because I signed up on day one just to get my name so no one could use it. I’m not going to post, I’m not going to log in, unsubscribed from the emails, totally clocked out. Do you feel like the work the mod team does at AskHistorians is hindered by Reddit management and is more or less in spite of them? [00:24:23] Andrés: I definitely feel like the admin team isn’t necessarily as responsive, not just to AskHistorians. We’re just one community on this massive site. [00:24:32] Patrick: Communities and communities like you. [00:24:33] Andrés: Exactly. There’s tons of great things about Reddit. There’s tons of great smaller communities and a metabroader community on Reddit. There are tons of great things about it. Reddit, they’re not full on free speech absolutist but they’ve definitely not been as aggressive in implementing policies to basically make our lives easier. I was told that IP banning is now bad because there’s ways around that. Maybe not a IP banning specifically, but making permabans of accounts easier, and definitely just going after the hate subreddits. If communities whose sole purpose is to be toxic cesspools are removed, then they don’t leak out into other communities. Maybe for a little bit right after you ban them, but when it’s clear that people who use the N word as the every fourth word in a sentence are not welcome and there is no communities for them, they will eventually for the most part go away and found some cesspool like Gab. I think that that would make everyone’s life better, not just AskHistorians but the entire site. [00:25:37] Patrick: I had a guest on the show, probably one of my favorite guest, Derek Powazek who’s a community veteran. Him and his wife, Heather, have a goat farm in Oregon and they have an Instagram for the goat farm. One thing he said that I thought was funny on the show was, I’m going to paraphrase here. The farmer next door has a garden as Derek does. He said something about how do you keep pests out of the garden. By pests I mean animals who would eat plants, not insects. He says, “I just have to make it less attractive than the garden next door, [laughs] so that they’ll go over there to the more attractive garden.” If he just cuts his plants a little different way, makes them a little shorter, does something. Puts up a little fence, something to make it a little less attractive, they will glom on to the place next door.” It seems like that’s a fitting euphemism here, is that Reddit has– I don’t know. I feel like they’ve just done things for public consumption. I think it’s a shame because like you argued and I agree with frankly is the idea that they might rest on the ethical argument from time to time. When they dealt with the sexualization of children issue years ago, when they finally dealt with it, Alexis Ohanian came out and basically said that they did it because they had to and they wanted to protect free speech as long as they could. I read the post and it was like this is a disappointing post. This is an issue we can lead on. Who is going to disagree with you with the sexualization of children? It’s an easy win. If there is anything we can agree with across the isle, Republican and Democrat, no matter who you are, for the most part, it’s going to be sexualization of children and that’s bad. Who do you want to stay next to? You made an interesting point, a good point, who do you drive away? Who exactly do you get rid off by adjusting these policies? Who are those people? Do you want those people? Looking at it from a business perspective, are they monetizable? Does anybody want to really advertise to those people that you want advertising on your platform? The answer is no. They’re not going to be missed. Of course there are grey areas and lines you can cross that maybe rub certain people the wrong way. When we’re talking about Nazis or Holocaust deniers, or people who sexualize children, or whatever, these are not tough battles. These are not necessarily hard battles, issues that you’re going to face resistance in. There’s not going to be any NYT Op-Eds on the fact that you kicked off people who use the N word. No one’s going to stand up public that matters and say anything about that. To take what should be an easy win and make it a frustrating loss is unfortunate. [00:27:58] Andrés: True. Though given how in New York Times Op-Ed page has been recently, I don’t know. [00:28:05] Patrick: Yes. Fair enough. [00:28:46] Andrés: I think it’s genuinely bad from a business perspective. I think that it’s something where it’s more of a policy that’s driven by ideology, a kind of like free speech absolutist ideology than it is by actual data. That’s my impression at least. [00:29:02] Patrick: That sounds reasonable to me. Andrés, it has been a really good conversation. I’ve enjoyed having you on. Thanks so much for coming on and speaking frankly about these difficult topics and sharing your experience with us. [00:29:13] Andrés: Thanks for having me on. It’s been a pleasure. [00:29:15] Patrick: We have been talking with Andrés Pertierra, moderator of AskHistorians. Follow him on Twitter @aspertierra, that’s, A-S-P-E-R-T-I-E-R-R-A. Visit AskHistorians at reddit.com/r/AskHistorians. Finally, Andrés asked that I mention Yad Vashem, the World Holocaust Remembrance Center at yadvashem.org, that’s. Y-A-D-V-A-S-H-E-M.org. For the transcript from this episode, plus highlights and links that we mentioned please visit communitysignal.com. 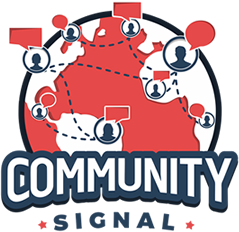 Community Signal is produced by Karn Broad and Carol Benovic-Bradley is our editorial lead. We’ll see you next time.